I could not put this book down! As he did with Juana of Castile in The Last Queen, Gortner has once again taken a historical queen and made her as interesting and exciting as any modern day heroine. It's interesting to me how little I knew of Isabella of Spain; one who was so instrumental in allowing Columbus to open the way for the future settlement of what would become America. Of course, that is what we were taught when I was in elementary school so many years ago. The implications of what came after Columbus's discovery is entirely another story. And yes, this is a fictional depiction of a historical figure, but there is no denying the historical accuracy here. Gortner does his research well.Isabella rose to power in a tumultuous time in Spain. To say that she was a steadfast and determined woman is saying little. The conventions of the time did not allow a princess to choose their own husband and yet she did. 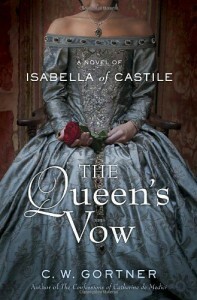 Spurred by her own will and her strong Catholic faith, Isabella was a force to be reckoned with. Her marriage to a prince of Aragon was a love match, yes, but also a strategic move for the uniting of Spain. 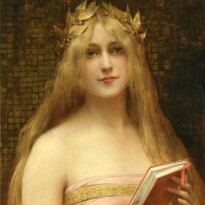 Together they brought about the change of many conventions in Spain.However, her reign was not without its blemishes. The Inquisition and the expulsion of the Jews are two events that have brought much negativity to history's portrayal of Isabella. However, Gortner has succeeded in depicting a possible reason for her decisions by giving us a multifaceted woman who believed in compassion and yet was driven by a faith that had no tolerance for other religions. To truly judge a person's actions, we would need to know more about the real person and yet we must rely on the history books. Gortner has done a good job of giving us a very human woman who truly felt her actions were for the good of her kingdom.I have now been inspired to read more about the history of Spain and its ruling class. Once again, historical fiction has done its very important job; that of leading us to further learning about history. Something only a well written book can do. This is that book.Note: There is an excellent author's note at the end of the book with further resources for reading about Isabella and her times. Also, a special note about a cause dear to my heart. The plight of Spanish greyhounds. Be sure to check it out.